Knitting and crocheting is a mystery to me. A fascinating mystery. And when a couple of my customers mentioned they'd love to see some beaded stitch markers available in my shops, I immediately went out to find out just exactly what a stitch marker is. After lots of research, I understand the basic concept, but I have to be honest and say that I still don't understand the process. I'm clueless, even after reading a number of articles. What I did learn, though, is that stitch markers are indispensable to many of those who knit and crochet. 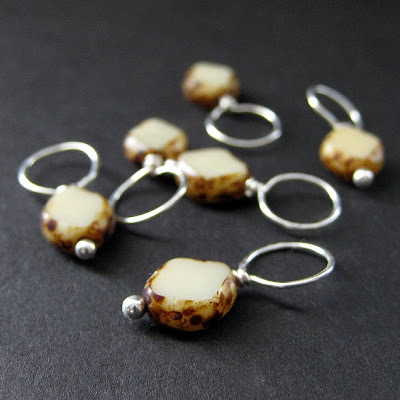 This set here is a handful of handmade stitch markers designed from silver wire and earthy mushroom colored glass beads with mottled brown around the edge and smooth shaved pale faces. 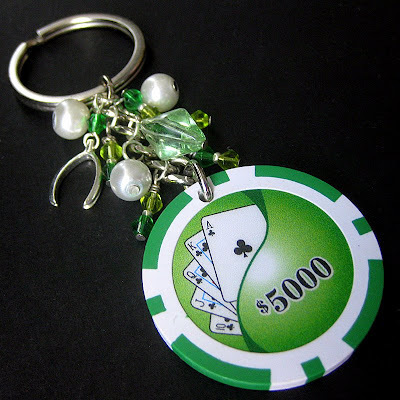 I've designed these stitch markers to be no-snag too! So there's no worries about them getting caught on the yarn while working. 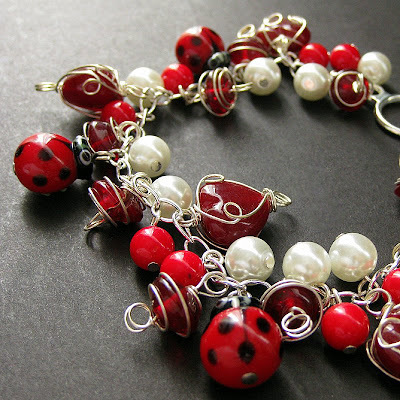 With Valentines Day just around the corner, I wanted to design a few romantic pieces of jewelry to list in my shops. I ordered these pretty lovebird pendants with that specifically in mind and was thrilled when they came in. 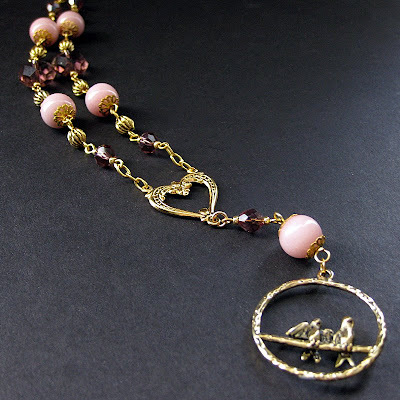 This handmade artisan necklace, made to highlight the beautiful lovebirds pendant at the end, is designed with pink stone beads and the shimmer of purple crystals all brought together with golden accents and a heart-shaped center that is tucked just above the lovebirds pendant at the end. 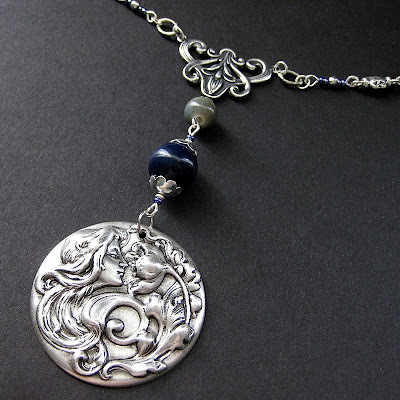 The length of this necklace is adjustable so it can be worn at a variety of lengths.